this simple little recipe works really well. 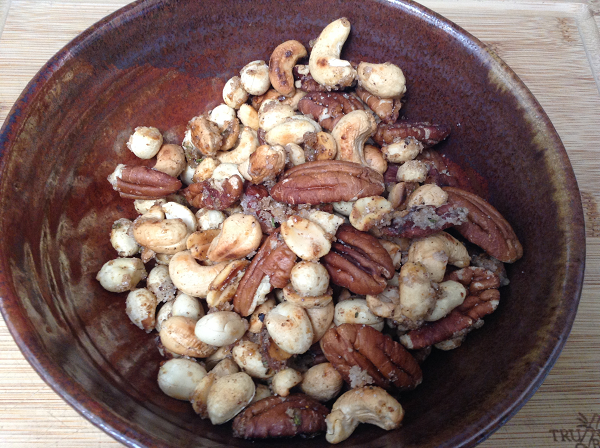 *I used equal parts pecans, peanuts and cashews because that is what I had in the cupboard. Almonds, Brazil nuts, hazelnuts (Filberts), pumpkin seeds, walnuts, etc. will all do. I use raw nuts, which will be chewier. If you want more crunch, you could use unsalted, dry roasted nuts and cook them for a shorter amount of time–about five minutes to let the spice and herb toast and to let the sugar melt. 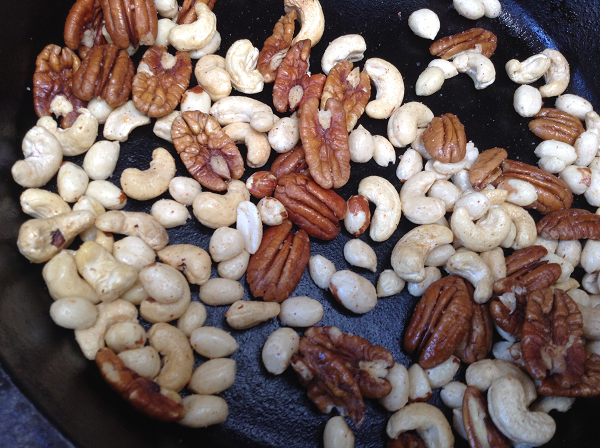 In a large skillet/frying pan (I like a cast iron pan for this), add the nuts and oil and stir to coat. 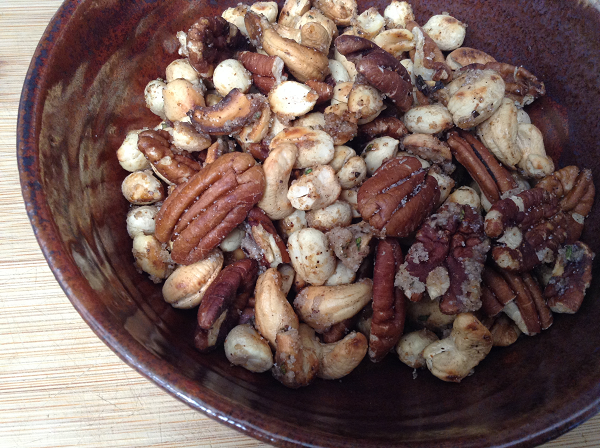 Mix the salt and cayenne pepper together and sprinkle evenly over the nuts. Don’t dump it all in one place or one person might end up with a fire bomb of a bite. Bring the heat to medium (low/medium if using cast iron) and cook, stirring frequently but not constantly for about 20 minutes. Add the rosemary and continue to cook and stir for another minute until fragrant. 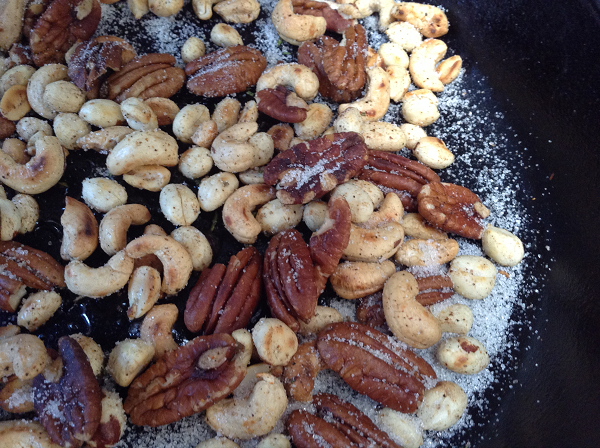 Sprinkle the sugar evenly over the nuts. Stir to distribute then leave it alone. The sugar will start to melt around the nuts. When it is mostly liquified, stir the nuts to make sure everybody gets a touch of sweet. 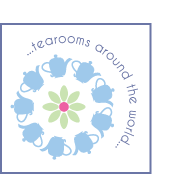 Let cool and serve. Store in an airtight container.